Nothing beats Easter day in spring time with the typical delicious comfort foods, family togetherness and cheerful Easter decorations. This is the time to enjoy companionship and be grateful of what we've got. Who cares about the piling dirty dishes and the cleaning act of Easter decorations tomorrow? Well, you will, after everyone's gone. But here is an easy, practical and excellent idea how to keep the holiday decorations until the next time we celebrate it again. Yes, you read it right. Use the 5 gallon buckets to store your holiday decorations. Choose different colors to identify what's inside: Easter decorations, Christmas decorations, Hanukkah, etc. It's simple. It's easy. It's fast! Alright, for the breakable fragile decorations you might need to have bubble wraps around to protect them from breaking, but other than that, it is an effective way to clean up the mess the day after the celebration. In case you are not in favor of the round shape of 5 gallon buckets, why not have square buckets for your holiday storage? 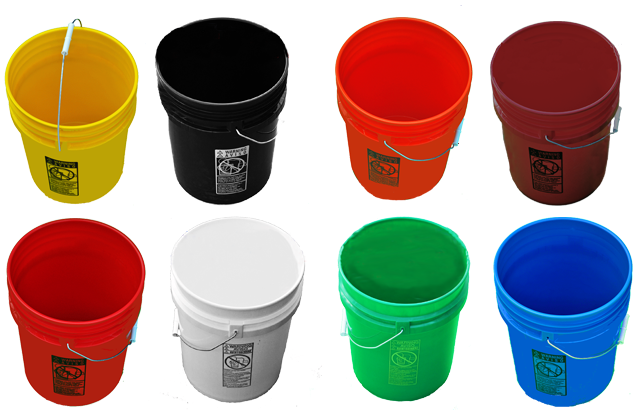 We have wide selections of high quality and versatile square buckets. They are available in white color, so you might need to put some labels to identify the stored items. But that's just about the only additional work you have to do. The square buckets come with matching lids and you won't have to worry about the decorations being dirty and dusty until about… next year. So there, you've already got a solution of one part of the cleaning job you'll need to do tomorrow. Now worry not, and enjoy your time with your family and friends!